The Rainwater Purifier Mouse is a breed of mouse found in the Moussu Picchu. 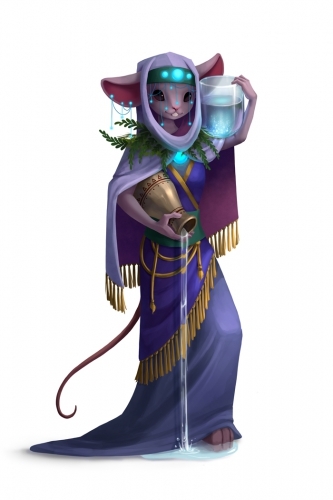 This mouse imbues the fallen rainwater with magical properties, helping empower the Rain Roamer mice as well as accelerate the growth of the flora and fauna upon the Moussu Picchu plateau. The Rainwater Purifier Mouse has been found to be especially attracted to Standard Cheese and Glowing Gruyere Cheese, to the point that any other kind of cheese will simply not suffice. Only Shadow, Arcane and Draconic type traps are effective against Rainwater Purifier Mouse, all other power types are ineffective. 6 September 2017: The Rainwater Purifier Mouse was introduced as part of the Moussu Picchu release. This page was last edited on 17 May 2018, at 16:17.